Compass & Coffee Spoons: Catch Up--What else have you been doing, Christine? Catch Up--What else have you been doing, Christine? Glad you asked. 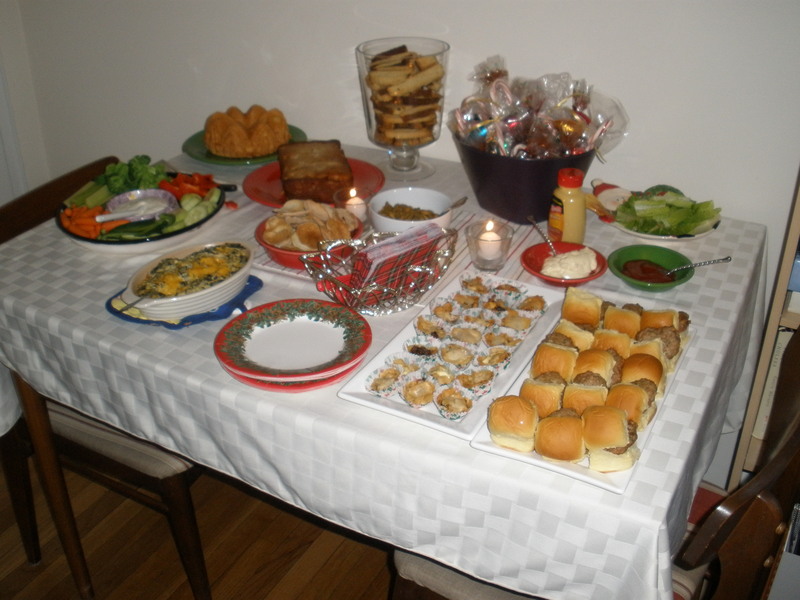 I had my second annual Twelfth Night Tea party--a post-holiday holiday party--the weekend after New Years. It was so great to see people I haven't seen in awhile. It was open house style. 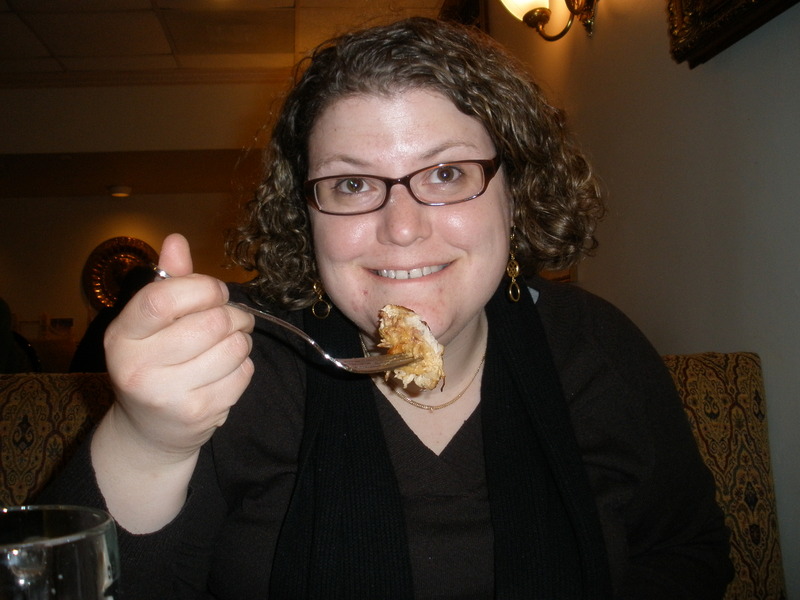 I chose healthier recipes such as turkey burger sliders, low-fat cakes, low-fat spinach artichoke dip, and crudite. Someone remind me next year that making many appetizers is NOT easier than making a full-blown meal. Still, it was fun. My favorite part was the punch I made--"Steamy Passion" a passion-fruit based hot toddy. Yum! I've also been rooting the Steelers on to a Superbowl victory! 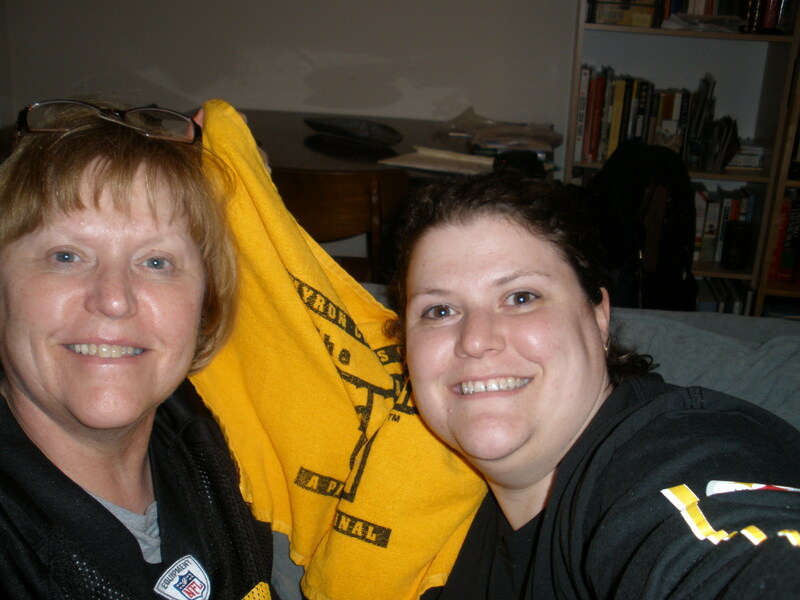 Mom was here last Sunday for the playoff game where the "boys" as she calls them trampled the Ravens. Mom stayed for a whole week, so we had time for some other outings. I played hookie (well, not really because I TOLD them where I was going) from work on Friday afternoon, and we went to Georgetown. 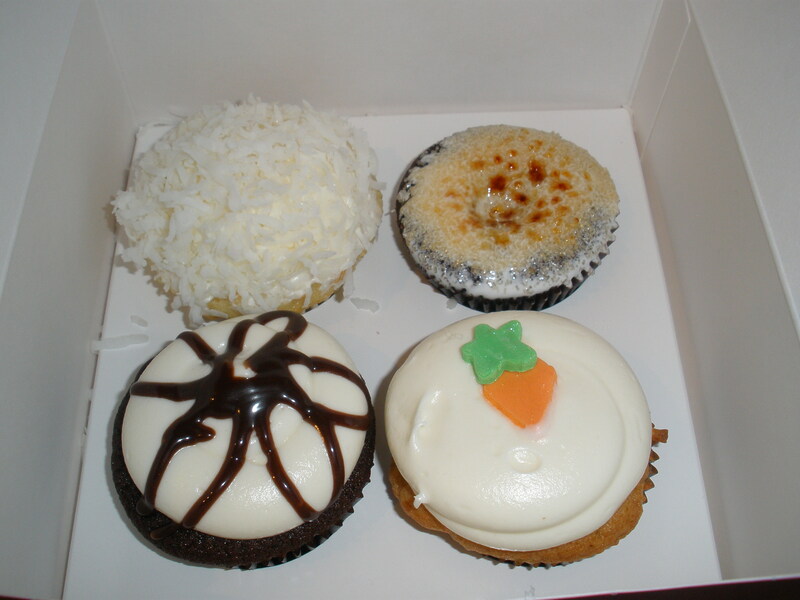 Hit up Georgetown Cupcake (the best ones I have had though Mom thinks perhaps they buy mix from King Arthur...doubt it). Top Row--Coconut and Roasted Marshallow. Bottom Row--Lava Fudge and Carrot. These were the flavors we still had left to share with Erin after she met us for dinner at Matchbox. We enjoyed a lemon one and red velvet at the Georgetown waterfront park. I was shocked to find that Dean and Deluca did not carry Dutch process cocoa. Apparently, this stuff's hard to find these days. I did end up buying it this past weekend, at the German deli section of Cafe Mozart. Mom and I had some hearty German fare there after a tour of the Capitol on Saturday. Oh, back to the Capitol tour. The new visitors center is open, and it's gorgeous. I was most amazed at how simple it was to get in. Not from a security sense but from a ticket standpoint. I will save the views of the Capitol for professional photographers. I was most impressed with the wonderful restroom facilities. Digital cameras are dangerous things. Gooo Steeelers!!! Wave that terrible towel!! 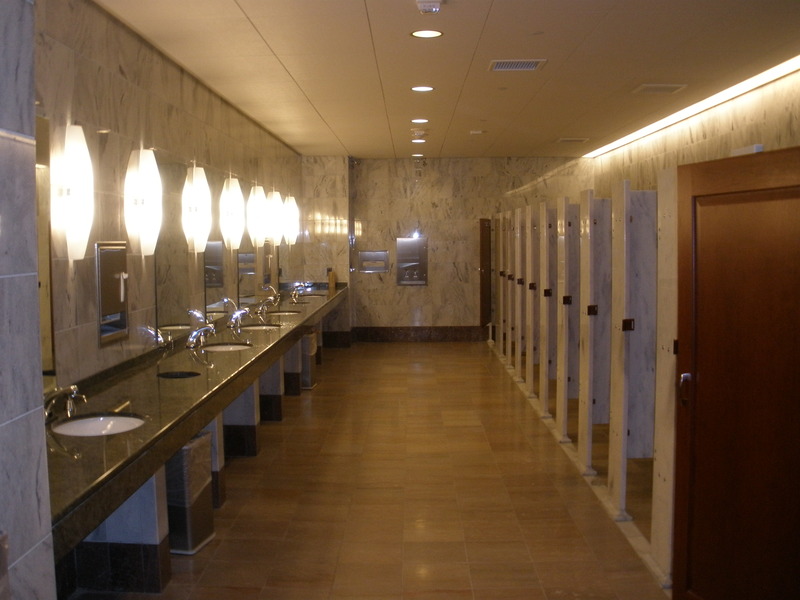 Those bathrooms do look impressive at the Capitol visitor's center.